Have you ever come across a blog and mistook it to be an e-magazine of Seventeen or Cosmo girl? 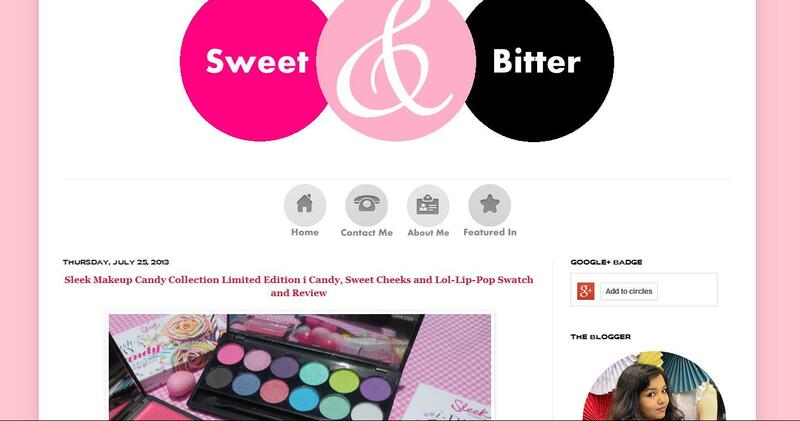 If you have come across Sweet & Bitter blog you must be knowing exactly what I’m talking about. No points for guessing who my favorite blogger for this month is! It’s none other than Shayoni, the little doll of Sweet and Bitter blog. Her blog is full of colors and beauty. Her ingenious photography, which I later came to know was through a Canon point and shoot camera has always been a huge inspiration and a fashionable pleasure. Her DIYs are too good to be true. More than anything, I am in love with the way she clicks pictures for her blog. Do check her blog for an indulgent journey of colors, fashion, beauty, makeup and everything sinful. Till then keep looking out for more interesting posts.